We are excited to share the news that this month's winner of the Cortland Voice Teacher of the Month Award is Emily Colvin, a first grade teacher at William Appleby Elementary School in Marathon. 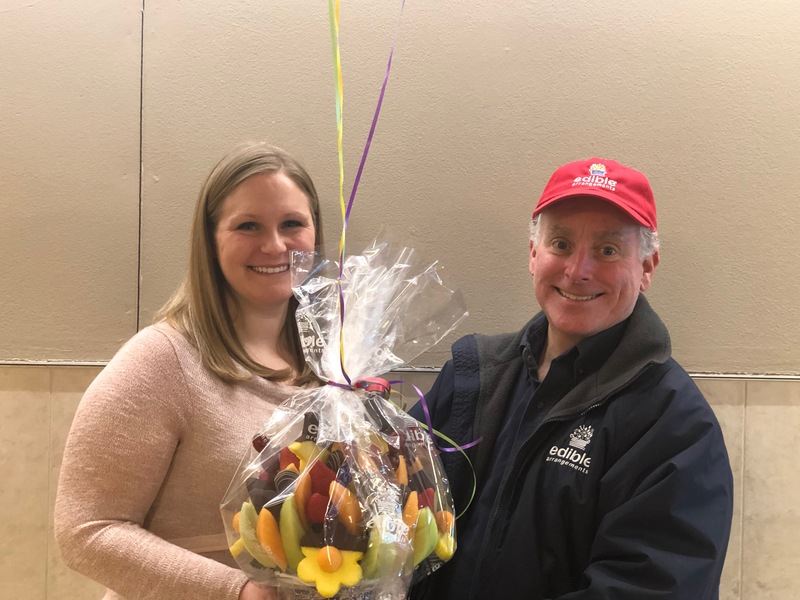 For her hard work and dedication, Colvin received a complimentary gift basket courtesy of Edible Arrangements of Ithaca. Emily Colvin shines through as a true educator. She advocates for each of her students to ensure their academic and social needs are met to give everyone the best opportunities in life. Emily sees the best in each student and uses their strengths to motivate them to succeed. Having taught with Emily for many years I have never seen these qualities waiver. Each day she goes to school with a determination to do the best she can to make a difference, whether it is big or small, in each child’s life. For these reasons I believe Emily Colvin is deserving of this recognition. Nominations are now open for February. Visit our Teacher of the Month page to fill out a nomination form and vote for your favorite educator!